What does a Freelance Writer Need to Know about Your Project? Often times, you, as a potential client may know what you are hoping to accomplish by hiring a freelance writer; but do you know what the freelancer needs? By providing clarity and specificity to your job description or request for proposals (RFPs) you can improve your final product exponentially. You may well have the exact understanding and image of what you want yet conveying that vision to your writer is key. While having an idea for a book/novel is wonderful, you need more than an idea. The more you know about your characters, locations, story line and major turning points in your story, the better point of departure your writer will have. Far too often a client will waffle about the finer details of their project simply because they are so excited to get started, they haven’t done their due diligence. Writers love to flush out the deeper aspects of characters and their motivations but we really do need guidance and direction from you. You don’t need to put all of these specifics into your job description but letting the writer know you have done your due diligence is always helpful. I always suggest that clients go to their favorite local bookstore and roam around the selections in the genre that they are interested in. Read the jacket covers, the introductions and most importantly, take a look at the number of pages the book has. You need to understand your competition in the genre and decide where you fit in. Depending on the genre, you may want a 150-page book or a 400-page book; the decision is yours. Just make sure you share your expectations with your writer. This helps us organize our time better and most importantly, give you a more precise bid. Rome wasn’t built in a day and God took six days to make Heaven and Earth so while we want to do everything we can to get your writing to you before your deadline; make sure you are being realistic. A 400-page novel in less than three weeks is next to impossible. Keep in mind that while you give us the skeleton of what you want, we, as writers are putting the meat on the bones. Since I am full of clichés in this item, let me throw another in here: the Devil is in the details. Once the writing begins you need to be prepared and almost accept the fact that there will be situations where you and your writer need to go back to the drawing board. Case in point – recently while doing a novelization (converting a screenplay into a novel) a character was traveling from Point A to Point B. The client, due to plot and etc. wanted the trip to take less than four hours when in reality the trip was almost nine hours. Once I did my fact-checking and brought this to the clients attention several things had to be re-thought and specific changes had a rippling effect on other parts of the story. This took a few days to sort out. In short, give ample time for the creative process to take place and expect hiccups along the way. We all operate differently and because of that uniqueness making sure you are clear on what kind of communication you expect throughout the length of the project is essential and welcomed. Do you want weekly updates? Daily updates? How often do you want to see the work that has been produced? How do you want comments, changes and edits to be part of the process? These are all elements that help keep the creative process moving and communication positive. The first draft of any piece of writing isn’t going to be perfect so plan for time to read and make comments on the work as well as feedback. No writer worth his/her salt will not appreciate constructive criticism. Depending on the size of the project, it might take a few days for you to organize your thoughts and cover all the bases you need to cover in order to provide an all-encompassing job description. A well-written job description speaks volumes about you and how you view your project. You are setting the tone for the working relationship and your project. 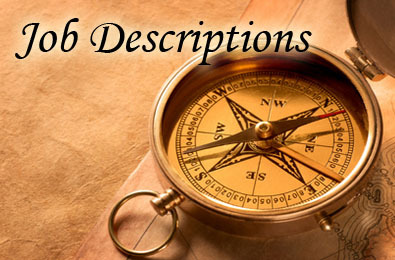 Give your description the time and attention it needs and if necessary, put yourself at the writer’s desk for a moment and ask yourself; what do I need to know to assure that this project surpasses the client’s expectations? Don’t leave your writer in the dark about your deadlines. If you need to get content to the publisher by a given date, let your writer know. Make sure your deliverables are clear. If you also want an introduction, epilogue, index, table of context, etc., be sure to include that information as well. If they are outside the scope of the original descriptions, precious time can be lost re-negotiating the additional deliverables. No matter how rushed you may be to get a description/RFP checked off your to-do list, I cannot emphasize enough how crucial this first piece of the project is. It sets the tone for the entire process and the working relationship with your writer. If you don’t give it the time it deserves, you will be guaranteed to re-commit that time later in the project when unanswered questions slow the project down. Every writer wants a win-win at the end of every project. A happy client and a great final draft are the results that mean the most to a writer. By providing a well-organized project description, you are setting the stage for a great final act.